In recent years, the phrase “ VUCA world” have been used at the top corporate levels to describe the challenge of producing a desired outcome in the face of Volatility, Uncertainty, Complexity and Ambiguity. However, the acronym ( pronounced “voo-ka”) has much older origins in the military world. Living in a VUCA world makes it much harder to predict a specific, and often desired outcome because of the four components’ linkages in a much more interconnected, ‘globalised’ world. In the past, where many elements important to an outcome remained relatively stable, e.g prices, resources, workflow, you applied a set of parameters, actions and a specific result , like maximizing revenue, could be obtained fairly accurately. You could also predict a specific number of outcomes depending on what you did by applying processes to the issue. No longer. In a VUCA world, the catalysts that affect the formerly stable elements are varied, many and do not lend themselves to linear approaches or solutions. For example, a “known known” in the mountaineering world could be, the number of expeditions and teams climbing on Mt Everest in a given season. A “known unknown” could be that avalanches are bound to occur but we aren’t sure when or where. So here’s a quick overview. 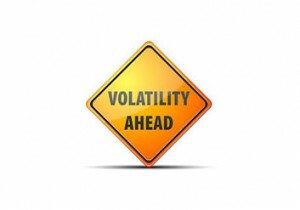 In a volatile environment, the speed at which things change or happen accelerate. Our organisations need to be more adaptable and nimble – in short, more resilient. In 2014, unhappiness over an apparent insult on the mountain led to an escalation of aggressive behaviour, and confrontations between the high altitude porters on Mt Everest, and some expedition members. What caused it to flare unpredictably into violence was the presence of a number of young, non-traditional Sherpas who had little truck with the ‘old ways’ and deference of their colleagues to foreign climbers. Few could have predicted a riot involving nearly 50 Sherpa staff, and the violence that occurred on the roof of the world. Complexity: the non-linear interactions that affect a project or goal-journey make it imperative for a leader to create the context of what success means to their team, This means sometime abandoning the traditional, narrowly focused “goal” as a measurement of success and look to other benchmarks like success in improving the conditions to achieve goals through, for example, improve training and employee skills. It also means understanding that tinkering with one component in an interconnected system doesn’t always produce the result you want as many other parts of the system may be simultaneously be in flux. Progress indicators get harder to define. Ambiguity: this is where the quality of an event is open to more than one interpretation, often owing to a lack of models to explain the result. In the best spy novels that reflect a modern reality, there are often few “good guys” or “bad guys”. There are just shades of grey of morality in such novels, and the best “heroes” are rarely pure in spirit, nor their opponents always evil. Similarly, in a VUCA word, a leader needs to have a grasp of systems thinking to understand the result or outcome which might be open to more than one interpretation of success. The disappearance of Malaysian Airlines flight 370 was a classic example of an “unknown unknown”. Sure, you could say that airplanes might crash but not know when a – ”known unknown”. However, the bizarre piloting action, the total disappearance (not a ‘crash’) of the plane totally overwhelmed the fairly traditional airline and political leadership; qualifying as an “unknown unknown”. The better leaders adapt, and be open to challenge longheld assumptions, decide rapidly, and stay resilient, are all keys to improving their leadership capacity in a VUCA world. David Lim is Asia’s Leadership Coach, and best known for leading the 1st Singapore Mt Everest Expedition. Since 1999, he has helped organizations build teams and grow leaders. today to subscribe to his leadership e-newsletter.